Dr. Peter Drury is an independent strategy consultant for ICT-enabled health and/or community development in developing countries. A social scientist, with a PhD and MSc from the University of Surrey and BA from Cambridge University, Peter has had a longstanding interest in health and ICT. He has more than 25 years of experience, as consultant and employee, at all levels of the UK National Health Service, together with 6 years’ experience of the private sector (ICT) at Director level working in Emerging Markets. 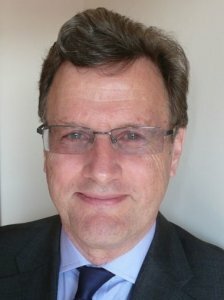 He has also had an 8 years’ experience of working on digital health and development issues in Africa and South East Asia, with organisations such as UNICEF, the World Health Organisation, the Asian Development Bank, the Alliance for Affordable Internet, and the Asia eHealth Information Network. As a consultant for the UK Department of Health, and later as the Head of its Information Policy Unit, he was involved in the development of four national strategies for Health ICT. He supported the development and promotion of the WHO/ITU toolkit for National eHealth Strategies in 2012 and has supported the development of eHealth strategies in a number of countries, as well as innovative solutions in community-based use of ICT and knowledge management. For the Asian Development Bank he has been lead author for the 2018 Guidance for Investing in Digital Health, and supported the development of the accompanying Digital Health Impact Framework. Michael is a Health Systems Development expert. He has specialized in Social Health Protection for low-income and transitional countries, and has more than 20 years of professional experience. He has a degree in health insurance management and worked several years for the largest German Health Insurance fund before being seconded to SAP® to assist in the development of a national IT solution for the German market. In 2009 he moved to SE-Asia where he assisted the Ministry of Labor in Cambodia in setting up the operational and digital policies for the Health Insurance implementers. He has also been involved in Cambodia, Myanmar, Vietnam, Laos and Nepal on projects for digitizing business requirements and implementation guidelines for social protection. These projects have involved working with organizations such as CIM, GIZ, EU, Asian Development Bank, Palladium and the Asia eHealth Information Network. For the Asian Development Bank he has been a lead author for the Toolkit on Health Identifiers (2018). He has contributed to various papers on the operational side of Health System Management and feasible strategies for implementation. 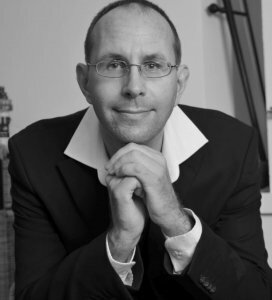 Michael holds a train-the-trainer license from the German Chamber of Commerce and Industry, as well as an NLP® Master Certificate and is known for his clear, interactive and practice-oriented way of training.